My reading in South Coast Rep’s NewSCRipts series is tonight, and we’ve been plugging away on a play of intense emotional density… I don’t know how else to describe the work we’ve done. So you’ll just have to come and see it! Take a look at the previous post for details or just click here! Back from Philly! Thanks for the good times, everyone! 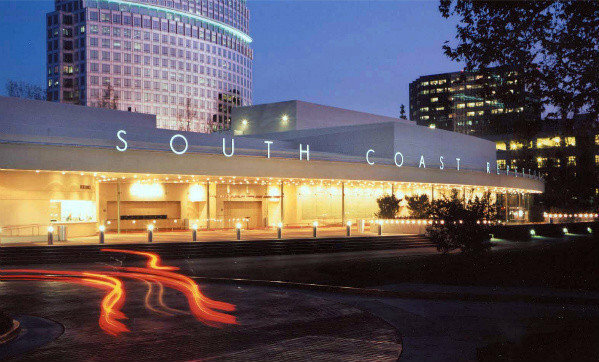 Up next for me is a workshop and reading of And Right Now as part of South Coast Rep’s NewSCRipts series. The play is a commission for SCR, an earlier draft of which had a wonderful first reading at The Lark last spring. I’ll be heading west this Friday, we’ll rehearse all week, and then I’ll see you Monday night! Right…? Daniel is a writer, fresh out of college and looking for a job. Linda is an émigré from the Philippines who married, had children, and achieved her lifelong dream to open a local bookstore. It turns out to be the same one Daniel loved as a boy—and what begins as an everyday job interview becomes much more as Linda and Daniel realize that their connections go far deeper than a shared love of literature. Together they will have to face the trauma of their pasts—but can they find forgiveness? There will be a reading of my new play at The Lark tomorrow! Bookstore owner Linda and her new employee Daniel develop a strong bond after they discover the calamitous significance bullying has played in both their pasts. But commiseration that should bring them together soon threatens to tear them apart when they confront the pernicious feelings and actions they thought they had so carefully secreted away. This play is a new adventure for me. On top of being my first full-length two-hander, it also happens to be my most realistically set play (there are four scenes all in a bookstore), and it’s my attempt to make sense of a very complex subject: bullying, particularly the bullying of LGBT teens. 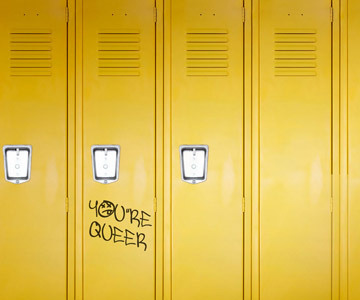 Like so many people the recent rash of attacks on queer youth and the rallying cry of the It Gets Better Project emotionally bounced me back and forth from a state of abject despair to a state of inspired hope. The hate crimes, the suicides, the parents’ confusion, and the efforts of adult queers were overwhelming in their complexity. One thing I noticed when keeping up with the events, though, was how little the news articles and prevention efforts said about bullies themselves and bullies in general. The focus was always on the victim, which relayed the misleading sense that the problem in the larger scheme of bullying is that the victims aren’t strong enough. While I understand the need to address the needs of those in trouble first, the theater gives us a chance to explore the other side of things. And so, with And Right Now, that’s what I’ve tried to do. Also, I’ve further indulged my obsession with Frank O’Hara in this one. How many plays can I write featuring O’Hara poems? Only time will tell. Especially significant to this play is his relationship with his roommate Joe LeSueur, pictured here all the way on the right (Frank O’Hara is all the way on the left). John Button and James Schuyler are the other two figures in the photo. The reading is already filled up in terms of reservations, but The Lark always has tickets available at the door. Come get on the waiting list, and I’m sure that you’ll get in!